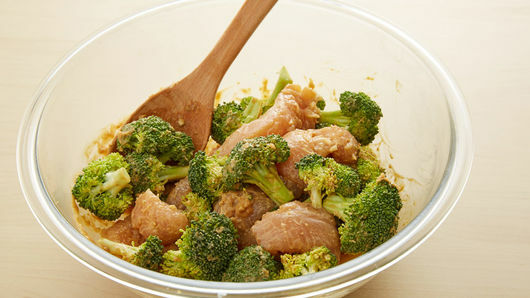 Bake 20 to 25 minutes or until chicken is tender and no longer pink in center and broccoli is crisp-tender. 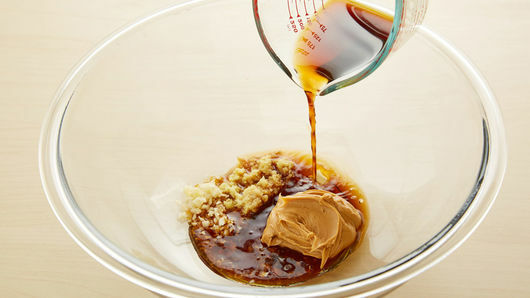 Stir gently before serving. 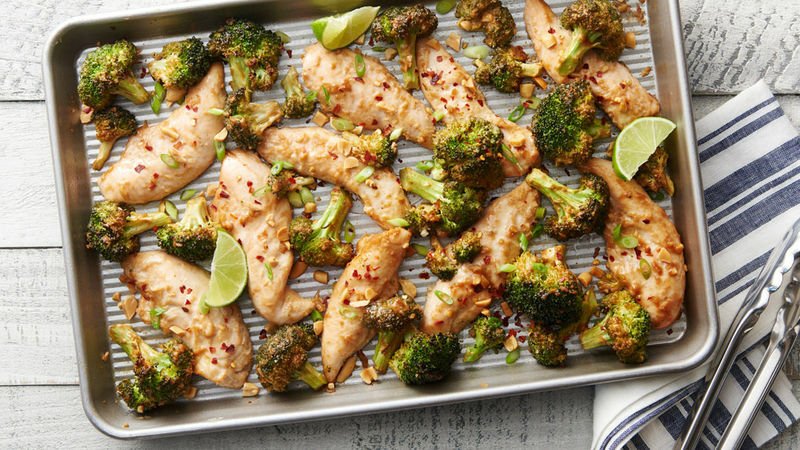 Squeeze lime over chicken and broccoli. Garnish servings with remaining ingredients.